Bleeding your brake or clutch line has never been easier or simpler! 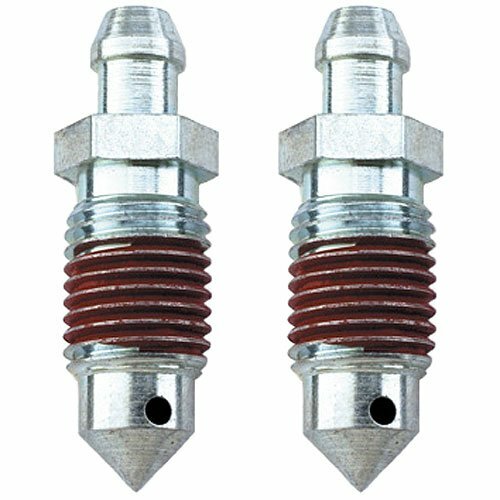 These revolutionary new speed bleeder screws are similar to a stock bleed valve, except feature a spring loaded ball check valve inside. When tightened down it seals the brake system just like a stock screw. To bleed the brakes, just open the valve 1/4 to 1/2 turn and the internal check valve prevents any fluid from escaping until the brake pedal is pumped. When the pedal is pumped the pressure created opens the valve and permits any trapped air to escape. Sold as a pair. 2/pkg. Does Russell 639550 fit your vehicle?